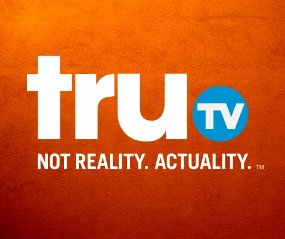 New US channel TruTV landed on Freeview channel 68 on the 4th August, as more space was created for more services on Freeview. Behind the scenes, digital multiplex operator Arqiva has for the first time enabled 14 standard definition TV channels to fit on the available bandwidth of one single Freeview multiplex. TruTV is the fourteenth channel on the multiplex known as "COM5", with religious channel TBN UK taking over Community Channel's daytime bandwidth. TBN is broadcasting a loop on channel 65 advising its service will launch in January 2015. BBC Red Button ended its summer of extra coverage, with its service reducing to one stream on the 4th August. This page will be updated through August logging the latest changes. TruTV isn't listed here, as a placeholder for the channel appeared on channel 68 in June. See June's changes page. Additionally a service has been reserved on channel 136. It's only visible on Freeview HD receivers via multiplex COM7, so only areas where Al Jazeera HD is available on channel 108. Service configured. For viewers in Brighton, Hove and Worthing area (Whitehawk Hill transmitter). CBS Action placeholder for new service now on channel 90. Also via Virgin Media 159. NOTE: If local TV channels fail to launch, the local TV licence is liable to be revoked. The "on or after" dates refer to the earliest dates that the channel is licensed to operate on Freeview, although test transmissions may start beforehand. Sheffield: Extra transmitter to improve coverage in the Steel City given the green light.